Last December, on the second day I owned my AirPods, while brushing my teeth I reached up to dry my face, and knocked one of them out of my ear. Bathrooms are a pretty hazardous place for electronics at the best of times. Naturally, fate ordained that, as it fell helplessly through the air, my brand-new left AirPod would be guided on a trajectory which led it perfectly, inexorably, into the toilet. Plop. It didn’t even touch the sides. Just straight into the water (which was mercifully untainted, for a toilet anyway). I looked around to see what I already knew, and stared frozen for what felt like an eternity. Then my mind went into overdrive: annoyance, frustration, planning what to do next. All in a split second. I had to do it, I had to reach in and get it out. Next thing I know, I’m rinsing it under the tap. It went against every instinct, but it was already soaked, and I’d rather it die from clean water than toilet water. My mind wandered to a fate worse than death: the AirPod, surviving without a cleansing rinse, forever tainted - me, afraid of wetting it again for fear of pushing my luck. It was perfect, and almost a year later both AirPods are still good as new. Aside from some scuffs on the case, there’s pretty much no wear and tear, despite plenty of drops and near-constant usage. 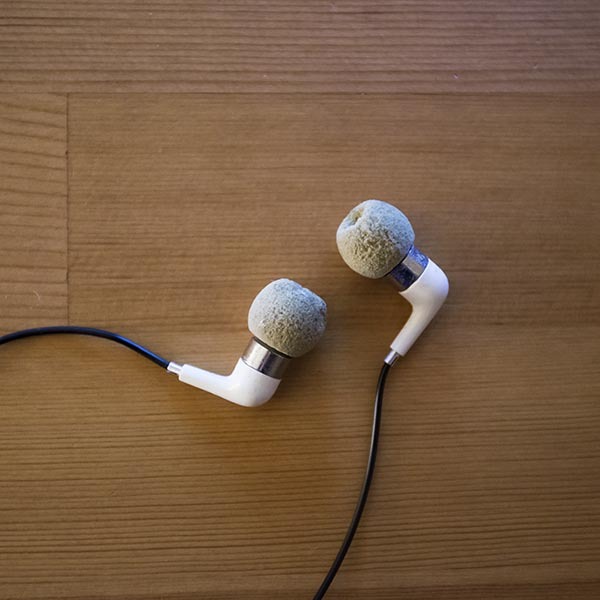 In the past I probably went through a pair of earphones every six-nine months1; one bud would inevitably go quiet, due to a fault at either the 3.5mm jack, the inline remote, or at the connection to the bud itself. But with AirPods, no cables means virtually no points of failure. Their (apparent) water resistance helps, too. Battery life is as good as ever, in my regular usage I pretty much never notice the AirPods charging. Usually they find their way back into the case for at least a little while every few hours, and I just plug the case in when I notice the light turn red. Coming from in-ear earphones, I was a bit disappointed to give up the level of sound isolation they offer. Though I’ve become a bit of a convert; for most use cases I prefer the greater situational awareness of open-backed earphones. The double-tap gestures have become totally second nature to me now. I’m glad of the ability in iOS 11 to set separate ones for each ear, and with the new ‘Now Playing’ card on the watch there’s handy access to volume control. There’s one issue I’ve had lately, seemingly since iOS 11 and High Sierra, which is that device switching seems jankier than it used to be. I’ve had some failures when switching devices, which practically never happened before. Often it’ll be when switching to or from my Mac, and I’ll see a never-ending spinner on an iOS device while it tries to connect. A few times they’ve disappeared from the audio interface list altogether, requiring my phone or iPad to be restarted before they show again. Hopefully that’ll improve as iOS 11 matures. They could be a little louder. For quiet music or podcasts, they’re noticeably lower volume than EarPods or other wired earphones. Lower audio latency would be nice; keyboard clicks or realtime audio feedback are noticeably delayed compared with wired earphones. Semi-related to previous point, the ability to use Siri without dropping to a lower bit rate audio stream would be nice. Finally, as much as I’ve grown to like the open backed style, I’d totally buy another pair if there was an in-ear variant.